Current Wexford Senior Football manager Paul McLoughlin is set to be handed a second term in charge of the Yellowbellies. According to the Wexford People, Paul McLoughlin will continue at the helm, despite the county having a relatively poor year. Despite this, Margaret Doyle has revealed that the Kildare native will be offered the opportunity to continue as the football manager for the next season, at least. “We hope he will also strengthen his backroom for 2019. That will be discussed,” said Margaret Doyle. 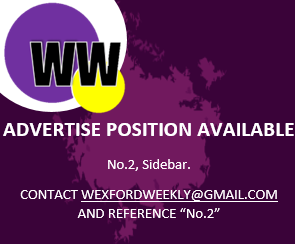 In 2018, Wexford were relegated to Division 4 in the NFL, while in the Leinster Championship they were defeated by Laois after extra-time, and lost out in the qualifiers to Waterford in a rather dismal and lack-lustre display.